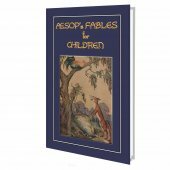 A GREAT READ FOR YOUNG ADVENTURERS! 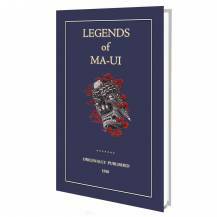 Within this unique volume are 15 legends of Maui. 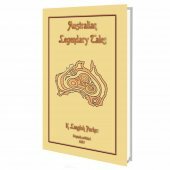 Legends like MAUI THE FISHERMAN, MAUI LIFTING THE SKY, MAUI SNARING THE SUN and twelve more captivating stories and tales from the Polynesian people of antiquity. There are three centres for these legends, New Zealand in the south, Hawaii in the north, and the Tahitian group in the east. In each of these groups of islands, separated by thousands of miles, there are the same legends, told in almost the same way, and with very little variation in names. Adventures from the great voyages of discovery carry fragments and hints of wonderful deeds. They are not only different from the myths of other nations, but they are unique in the character of the actions recorded. Maui's deeds rank in a higher class than most of the mighty efforts of the demi gods of other nations and races, and are usually of more utility. The Maoris of New Zealand claim Maui as an ancestor of their most ancient tribes and class him as one of the most ancient of their gods, calling him "creator of land" and "creator of man" sometimes "the sun himself," "the solar fire," and the "the sun god," while his mother Hina was called "the moon goddess." 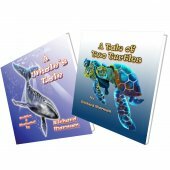 The Maui legends are full of helpful imaginations, which are distinctly and uniquely Polynesian in nature. NOTE: MAUI (Ma-u-i, Ma-oo-e) is a demi god. His name derives from Mohyi meaning "causing to: live" or "life," applied sometimes to the gods and sometimes to chiefs as "preservers and sustainers" of their followers. 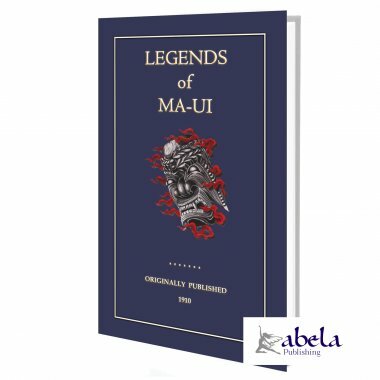 The Maui story probably contains a larger number of unique and ancient myths than that of any other legendary character in the mythology of any nation. They also form one of the strongest links in the mythological chain of evidence which binds the scattered inhabitants of the Pacific into one nation. They possess remarkable antiquity. MAUI the demi-god was sometimes the Hercules of Polynesia. His exploits were fully as marvelous as those of the hero of classic mythology. He snared the sun. He pulled up islands from the ocean depths. He lifted the sky into its present position and smoothed its arched surface with his stone adze. 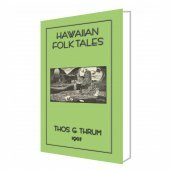 These stories belong to all Polynesia. 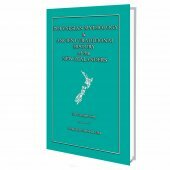 There are numerous less important local myths, some of them peculiar to New Zealand, some to the Society Islands and some to the Hawaiian group. One of the old native Hawaiians says that in the long, long ago the birds were flying around the homes of the ancient people. The flutter of their wings could be heard and the leaves and branches moved when the motion of the wings ceased and the wanderers through the air found resting places. Then came sweet music from the trees and the people marvelled. Only one of all mankind could see the winged warblers. Maui, the demi-god, had clear vision. The swift-flying wings covered with red or gold he saw. The throats tinted many colors and reflecting the sunlight with diamond sparks of varied hues he watched while they trembled with the melody of sweet bird songs. All others heard but did not see. They were blind and yet had open vision. Sometimes the iiwi (a small red bird) fluttered in the air and uttered its shrill, happy song, and Maui saw and heard. But the bird at that time was without color in the eyes of the ancient people and only the clear voice was heard, while no speck of bird life flecked the clear sky overhead. At one time a god from one of the other islands came to visit Maui. Each boasted of and described the beauties and merits of his island. While they were conversing, Maui called for his friends the birds. They gathered around the house and fluttered among the leaves of the surrounding trees. Soon their sweet voices filled the air on all sides. All the people wondered and worshiped, thinking they heard the fairy or menchune people. It was said that Maui had painted the bodies of his invisible songsters and for a long time had kept the delight of their flashing colors to himself. But when the visitor had rejoiced in the mysterious harmonies, Maui decided to take away whatever veil shut out the sight of these things beautiful, that his bird friends might be known and honored ever after. So he made the birds reveal themselves perched in the trees or flying in the air. The clear eyes of the god first recognized the new revelation, then all the people became dumb before the sweet singers adorned in all their brilliant tropical plumage. The beautiful red birds, iiwi and akakani, and the birds of glorious yellow feathers, the oo and the mamo, were a joy to both eye and ear and found high places in Hawaiian legend and story, and all gave their most beautiful feathers for the cloaks and helmets of the chiefs. The Maoris of New Zealand say that Maui could at will change himself into a bird and with his feathered friends find a home in leafy shelters. In bird form he visited the gods of the under-world. His capricious soul was sensitive to the touch of all that mysterious life of nature. With the birds as companions and the winds as his servants Maui must soon have turned his inventive mind to kite making. The Hawaiian myths are perhaps the only ones of the Pacific Ocean which give to any of the gods the pleasure and excitement of kite flying. Maui, after repeated experiments, made a large kite for himself. It was much larger than any house of his time or generation. He twisted a long line from the strong fibers of the native plant known as the olona. He endowed both kite and string with marvelous powers and launched the kite up toward the clouds. It rose very slowly. The winds were not lifting it into the sky. Maui remembered that an old priest lived in Waipio valley, the largest and finest valley of the large island, Hawaii, on which he made his home. "O winds, winds of Hilo, Hasten and come to me." "O winds, the winds of Hilo, Come to the mountains, come." The winds which had been stirring up storms on the face of the waters came inland. They dashed against Maui. They climbed the heights of the skies until they fell with full violence against their mighty foe hanging in the heavens. The kite had been made of the strongest kapa (paper cloth) which Maui's mother could prepare. It was not torn, although it was bent backward to its utmost limit. Then the strain came on the strong cord of olona fibre. The line was stretched and strained as the kite was pushed back. Then Maui called again and again for stronger winds to come. The cord was drawn out until the kite was far above the mountains. At last it broke and the kite was tossed over the craters of the volcanoes to the land of the district of Ka-u on the other side of the island. Then Maui was angry and hastily leaped over the mountains, which are nearly fourteen thousand feet in altitude. In a half dozen strides he had crossed the fifty or sixty miles from his home to the place where the kite lay. He could pass over many miles with a single step. His name was Maui-Mama, "Maui the Swift." When Maui returned with his kite he was more careful in calling the winds to aid him in his sport. The people watched their wise neighbor and soon learned that the kite could be a great blessing to them. When it was soaring in the sky there was always dry and pleasant weather. It was a day for great rejoicing. They could spread out their kapa cloth to dry as long as the kite was in the sky. They could carry out their necessary work without fear of the rain. Therefore when any one saw the kite beginning to float along the mountain side he would call out joyfully, "E! Maui's kite is in the heavens." Maui would send his kite into the blue sky and then tie the line to the great black stones in the bed of the Wailuku river. Maui soon learned the power of his kite when blown upon by a fierce wind. With his accustomed skill he planned to make use of his strong servant, and therefore took the kite with him on his journeys to the other islands, using it to aid in making swift voyages. With the wind in the right direction, the kite could pull his double canoe very easily and quickly to its destination. Time passed, and even the demi-god died. The fish hook with which he drew the Hawaiian Islands up from the depths of the sea was allowed to lie on the lava by the Wailuku river until it became a part of the stone. The double canoe was carried far inland and then permitted to petrify by the river side. The two stones which represent the double canoe now bear the name "Waa-Kauhi," and the kite has fallen from the sky far up on the mountain side, where it still rests, a flat plot of rich land between Mauna Kea and Mauna Loa. III. MAUI LIFTING THE SKY. IV. MAUI SNARING THE SUN. VIII. MAUI AND HIS BROTHER-IN-LAW. X. THE OAHU LEGENDS OF MAUI. XIII. HINA AND THE WAILUKU RIVER. XIV. GHOSTS OF THE HILO HILLS. XV. HINA, THE WOMAN IN THE MOON.